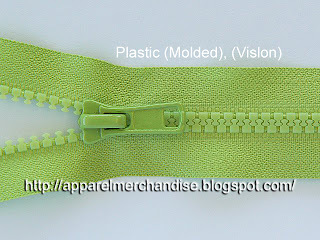 2) Plastic (Molded, Vislon), Zipper. 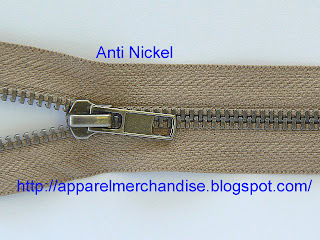 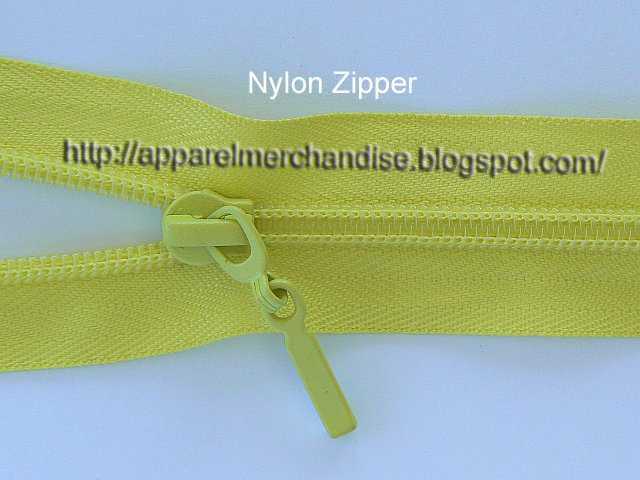 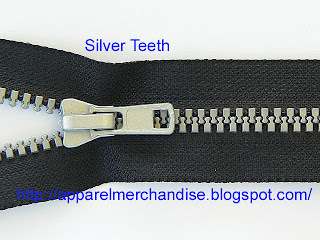 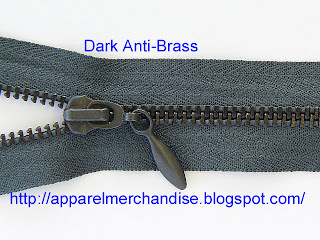 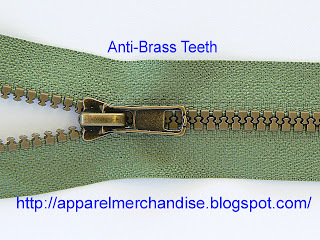 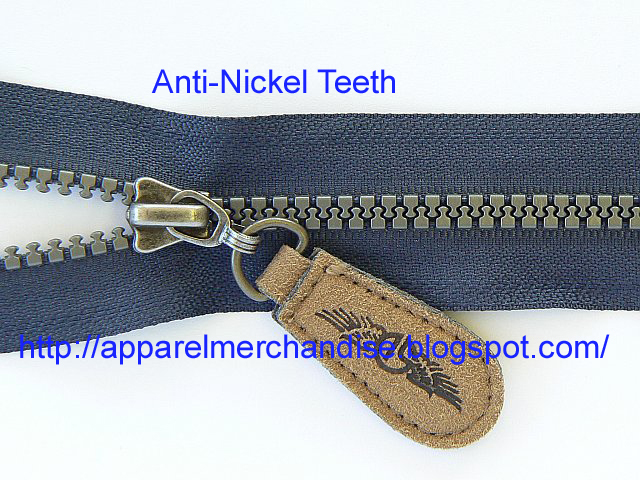 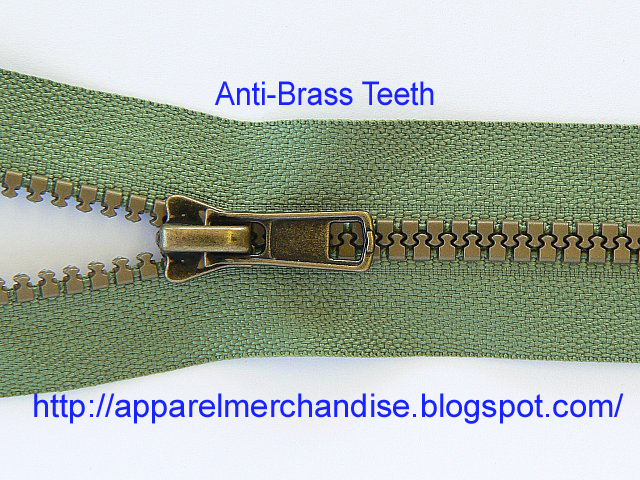 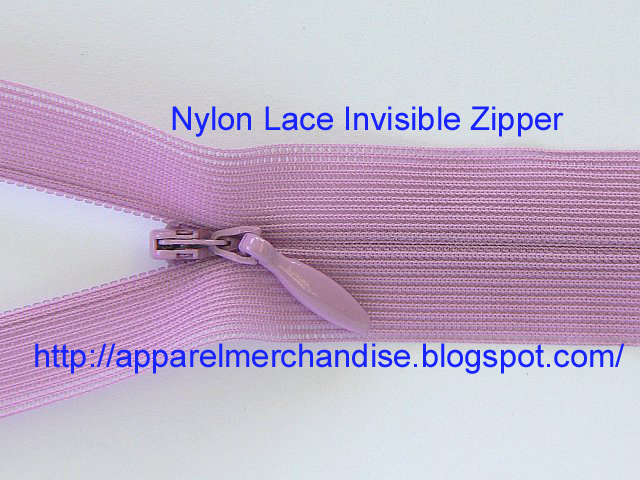 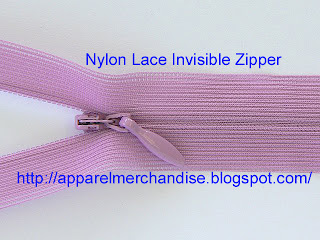 Nylon/Polyester zippers are made by sewing monofilament – formed spiral teeth on to the tape. 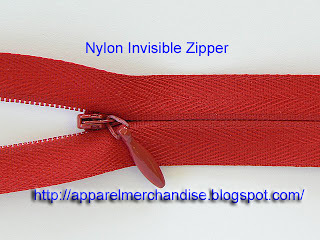 They are available in a wide range. 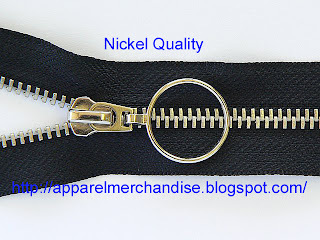 Therefore, it is the most popular and widely used zippers. Molded (plastic, injection, delrin, chunky) zippers are made by injecting plastic elements (acetal copoliner) onto the tape. 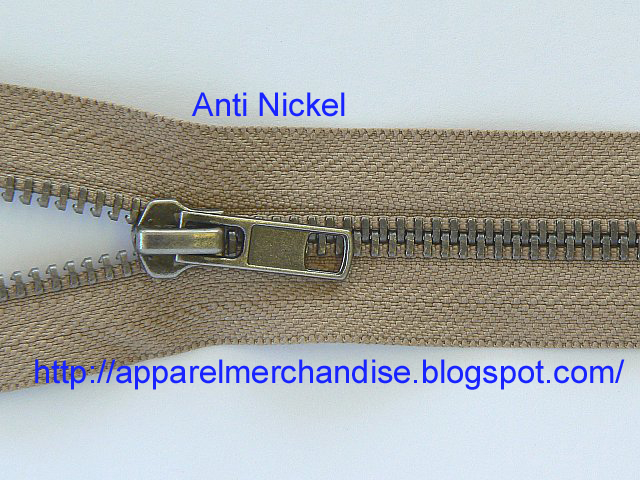 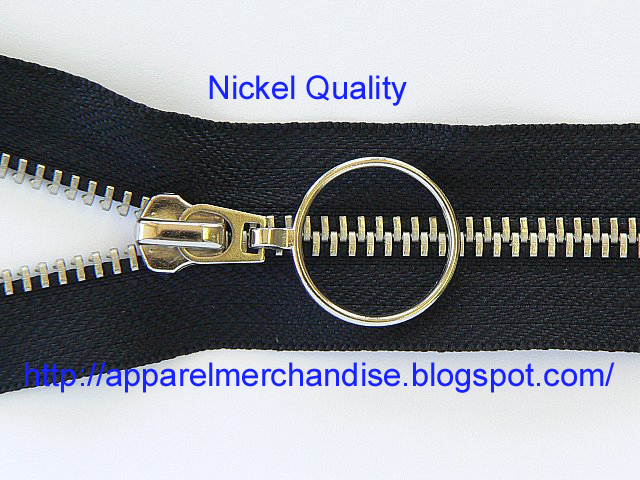 A wide range of colors and finished can be sapplied to the zippers for the fashion industry. 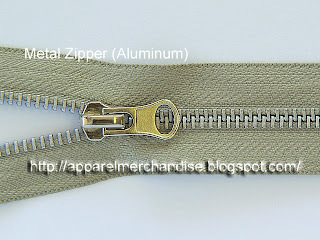 Metal zippers, made from various dimension of half round wire, display distinctive personalities in the fashion-clothing design. 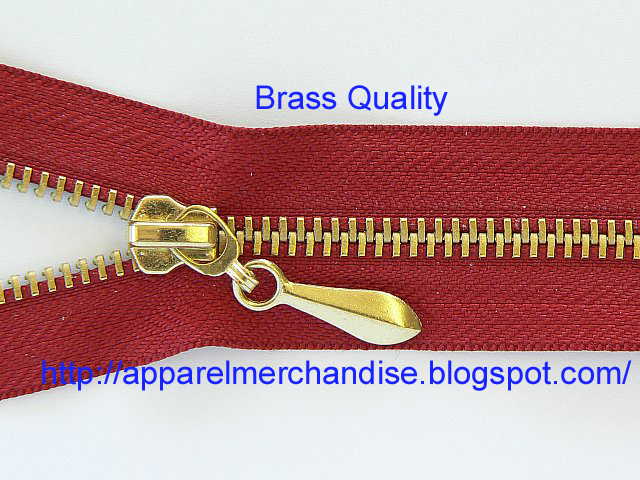 because i got fail from an interview to be a merchandiser, today i come to you blog and i realized that your information is useful for me. I wish i could visit your site sooner, every thing could change in my career life. 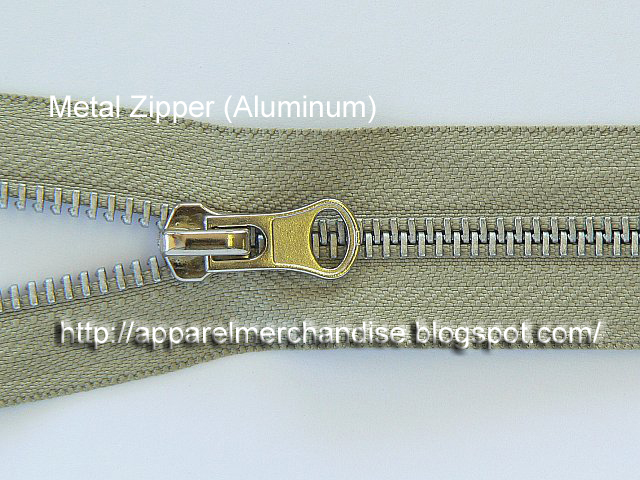 thank a lot and i hope i can find a job after learning your lessons for textile area.